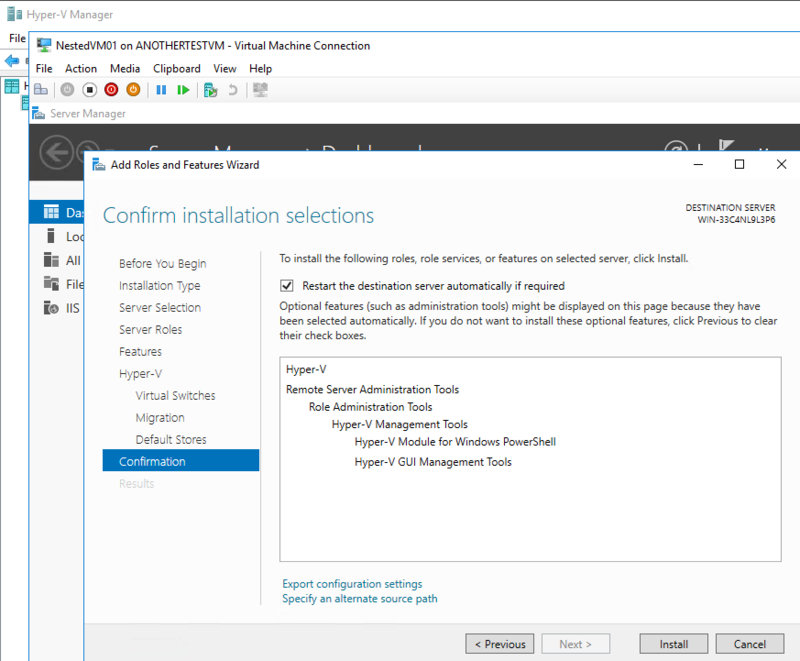 After my main Microsoft Azure Nested Virtualization | Hyper-V VM inside Azure VM post, we saw two usage scenarios. One is running Hyper-V Replica and the other is running Web Server in nested VM on Azure. Now lets have some fun and try to run a VM nested inside a VM nested inside an Azure VM. As a fellow said, VM inception! 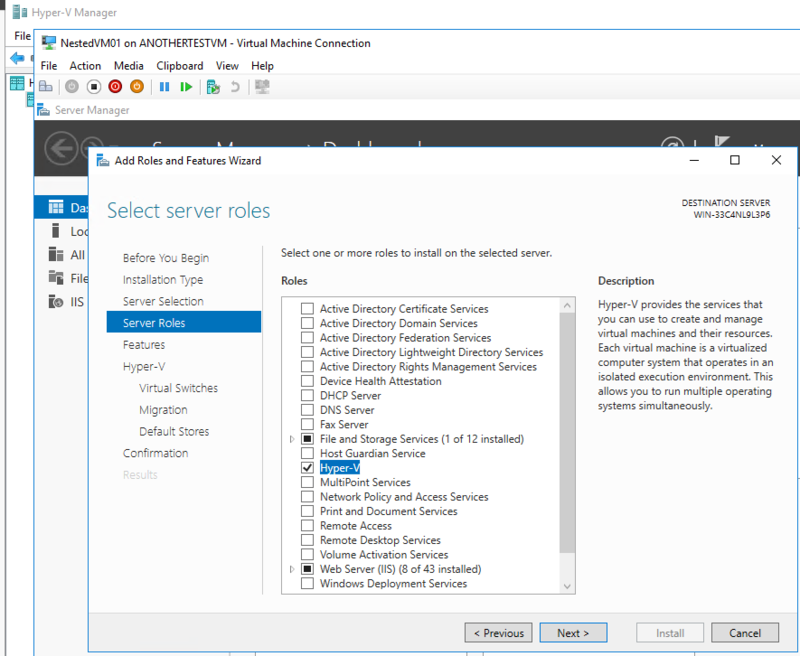 After running the above commands we can go to the Server Manger and add the Hyper-V role. I just click next accepting all the defaults. One exception, I checked the NIC to use it for Virtual Switch. 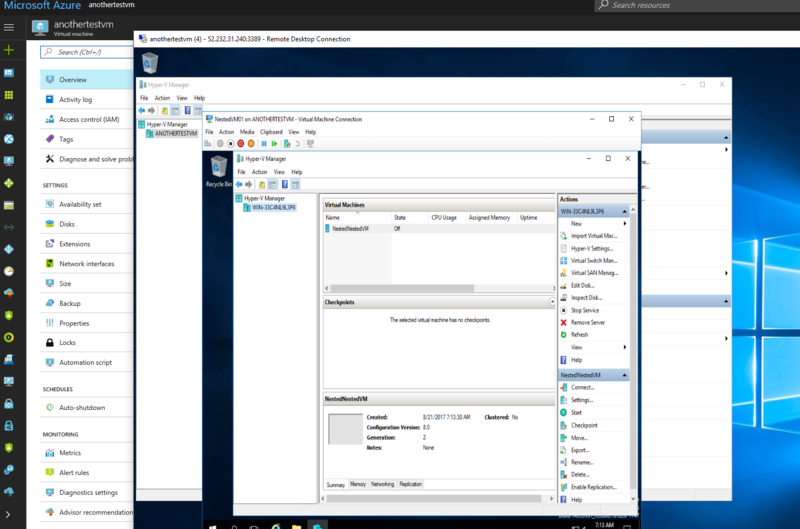 The post Microsoft Azure Nested Virtualization | VM in Nested VM in Azure VM appeared first on Apostolidis IT Corner.